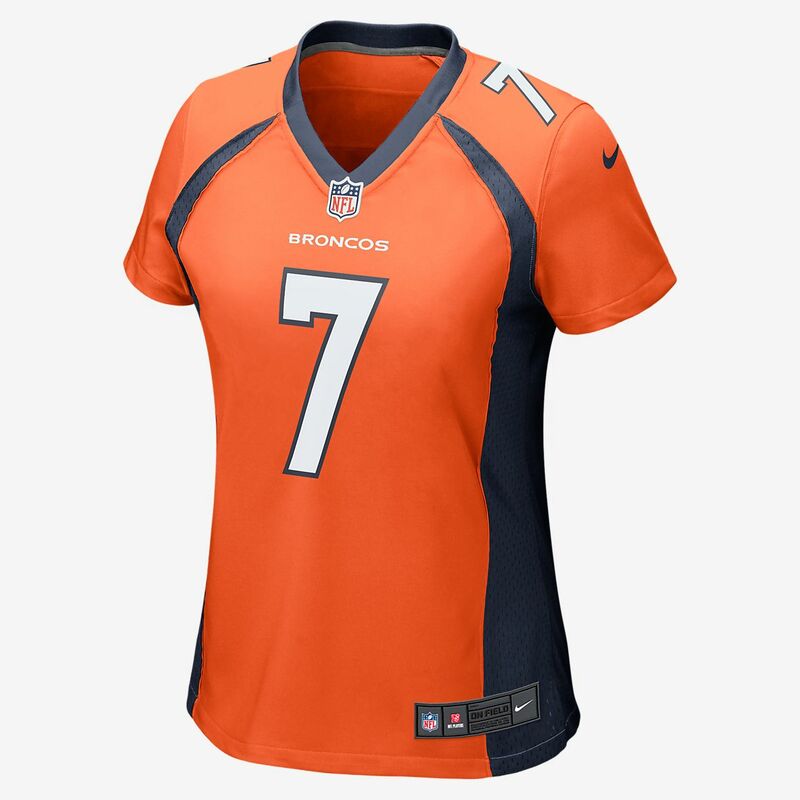 Rep your favorite team and player anytime in the NFL Denver Broncos Game Jersey, inspired by what they’re wearing on the field and designed for total comfort. A tailored silhouette delivers a contoured, modern fit. Silicone print numbers offer lightweight durability. A tagless neck label provides streamlined comfort. Have your say. Be the first to review the NFL Denver Broncos Game Jersey (John Elway).